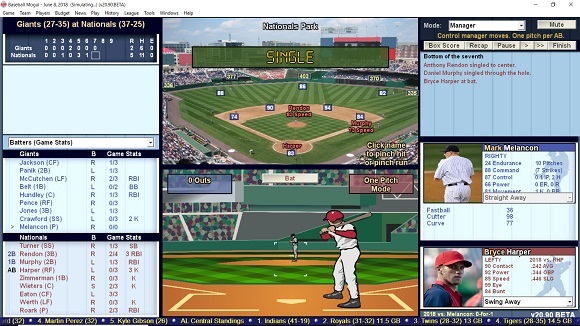 Baseball Mogul® begins in any year you choose, from 1900 to present day with the full roster of your favorite team — or an entirely fictional team of your own creation. 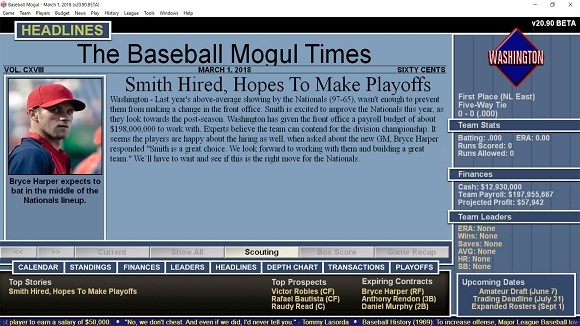 As General Manager (GM), your job is to build the best lineup of players to take your team to the World Series. 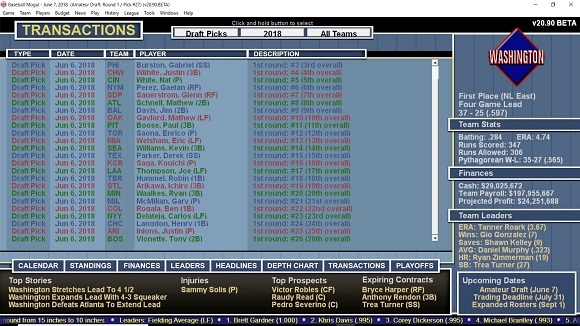 You can make complex player trades and sign players to multi-year contracts as you build your team, but you’ll have to compete with the other General Managers, and negotiate with the player’s agents. 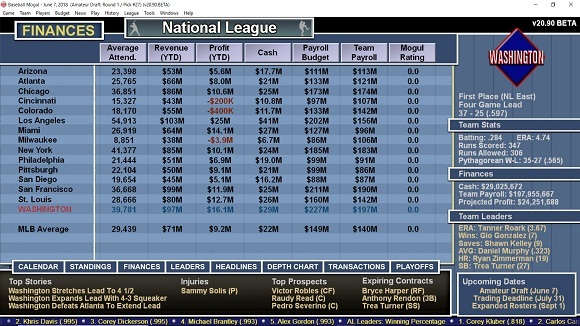 As GM you also have to manage all the finances for your ball club, making sure that the team doesn’t go bankrupt. 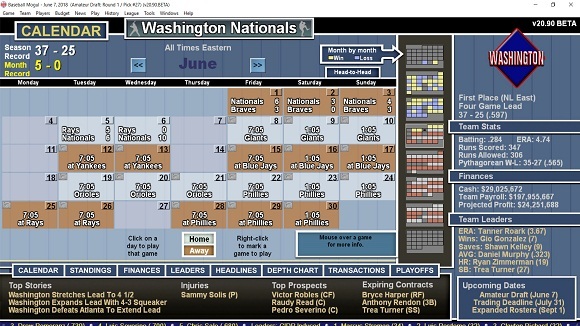 Raise revenue for your team by setting the price of tickets and concessions, and selling the TV broadcast rights, while you manage your team’s expenses by setting the budget for your farm system, player scouts, medical staff, and player payroll. But be careful, because fans can be fickle if your team doesn’t win or if your tickets become too expensive!